Abseil with Cancer Research Wales, and help raise vital funds for our world class cancer research projects taking place here in Wales. 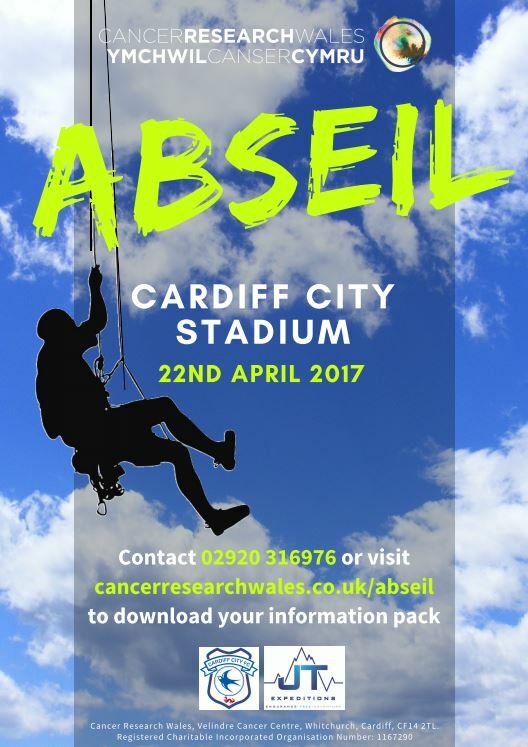 During April 2017, we have arranged for this unique experience for adrenaline junkies and lovers of the this iconic football stadium to abseil from the roof down to the pitch. You will be instructed and guided by trained professionals on the day so all you will need is your yourself and don’t forget your courage! A registration fee of £50 to Abseil this Welsh football stadium is applicable. All you need to do is raise a minimum amount in sponsorship of £199 to support Cancer Research Wales. If you would like the experience and thrill of a lifetime, please call Dee in our fundraising team on 029 2031 6976 for your information pack or visit our website for further information.